The president of the Spanish region of Catalonia has signalled his readiness to push back a controversial referendum on Catalan independence from next year to 2016, in a move that could help defuse rising political tensions with the central government in Madrid. “My intention is to have this consultation [referendum] in 2014 and to have it with the consent of the Spanish state. 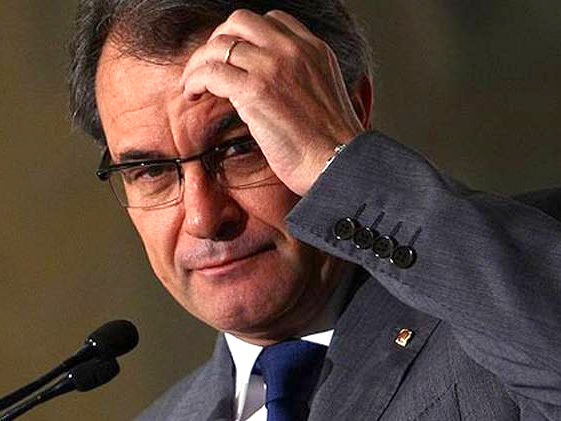 If it is not accepted, we will come to a scenario in which the consultation will still take place, but in 2016, which is when we are due to hold [regional] elections,” Arthur Mas told a Catalan radio station on Thursday. The Catalan government has formally requested Madrid’s support for a referendum on the future status of the region, but has made clear that it has little hope of gaining the backing of Mariano Rajoy, the prime minister. Mr Rajoy’s centre-right government is fiercely opposed to Catalan independence and has warned that holding a referendum without the consent of Madrid violates the Spanish constitution. As part of a political alliance formed this year between Mr Mas’s conservative Convergència i Unió party and Esquerra Republicana, a leftwing pro-independence group, the two parties made clear their intention of holding a referendum next year. Esquerra on Thursday said in response to Mr Mas’ declaration that it remained committed to holding a referendum in 2014, but played down the idea that this difference would cause a split in its collaboration with Convergència. Postponing the plebiscite to 2016 means Madrid and Barcelona will avoid – at least for the moment – a head-on clash that would have posed a severe test to Spain’s constitutional framework. It also means the referendum will be held after Spain’s next general election, which some officials in Barcelona hope will bring in a government that is more sympathetic to Catalan demands for more financial and political autonomy. A final consideration for Mr Mas may have been the fear that a confrontation with Madrid next year would ultimately force him to hold an early election, at a time when polls show that his CiU movement is losing support to Esquerra. Note from Reagrupament International: Mr. Buck has not completely understood Mr. Mas words. The President of the Generalitat stated that the possibilities for Spain to allow a referendum on independence in Catalonia are very small. As a consequence the only option left for the people of Catalonia to express its will is through plebiscitary elections, where a majority vote to a coallition made for the occasion is understood as popular support to a concept, in this case independence. We heartly agree with Mr.Mas but the dates. Why wait to 2016? If a referendum cannot be held on 2014 and plebiscitary elecctions are the best alternative let’s have them as soon as possible!